I was sitting in my room in the other night and was humming this song to myself. Unfortunately, I only knew the first part of the song, which annoyed me and led me to go searching for the song, it's lyrics and reading a bit of history at 2am on a Thursday night. Thinking about it now, Jambatan Tamparuli (or Tamparuli Bridge in English) has always been a song that is a part of the culture in Sabah, it is iconic, and you can mention it to anyone in Sabah and they would know the song. I remember listening to this when I was old enough to start paying attention to things at weddings. The drunken men of the bride or groom's family stumbling up on stage to do a little karaoke of this song along with a couple of other Sabah classics like Proton Saga Kelabu (Grey Proton Saga) and Sayang Kinabalu (I Love Kinabalu). Since, then I noticed this song being sung at every Kadazan wedding or event. It's a song that makes us Sabahans (especially those living elsewhere like me) get the feels. 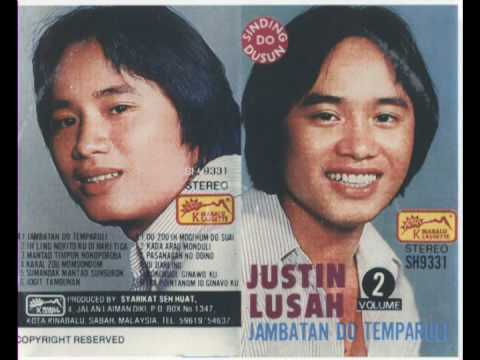 Jambatan Tamparuli was written by Justin Lusah in 1977. It was published as part of an album of the same title and was recorded at the She Huat Studio together with the 'Tom Jones' of Sabah, John Gaisah. Justin Lusah loved music even when he was a child and many of the songs he composed were based on his own life experiences. All of his songs are written in Kadazan and usually contain a hint of comedy and playfulness, as you will see in Jambatan Tamparuli. The song Jambatan Tamparuli is based on a real bridge in Tamparuli, which guides introduce to tourists as the "Lover's Bridge". The bridge in the song refers to the most well-known hanging bridge in Tamparuli. However, if you visit Tamparuli today, you will not find the same bridge from the song. The original was washed away by a flood in 1999 and in it's place a new bridge (and a couple other bridges) were built. 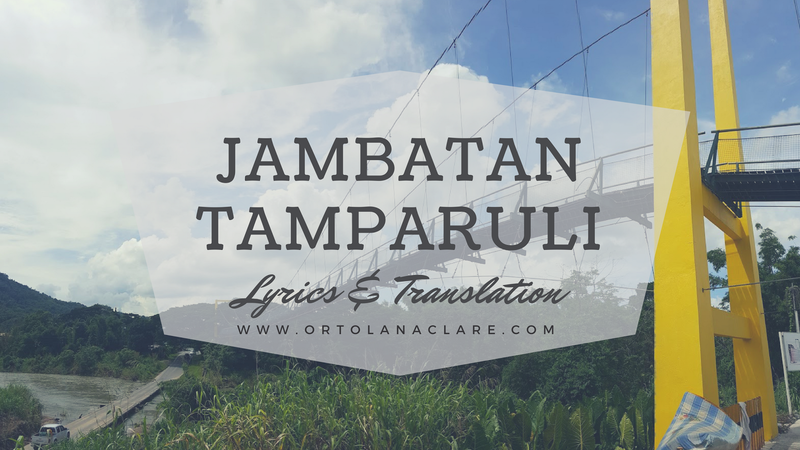 After singing this song on repeat for like an hour while researching about it and reading the comments on YouTube and recalling all the people who mention this song to me, I really do believe that Jambatan Tamparuli is an iconic song not only to the people of Sabah but to Malaysians as a whole.